Borough Market. If anywhere is going to get your mouth watering and your stomach rumbling, Borough Market is that place. Planning to visit? Here’s what you need to know before you go. Borough Market is hands down one of my favourite places to visit in London. I’ve been shopping at Borough Market for years and even now, I discover something new every time. But what’s the big deal? 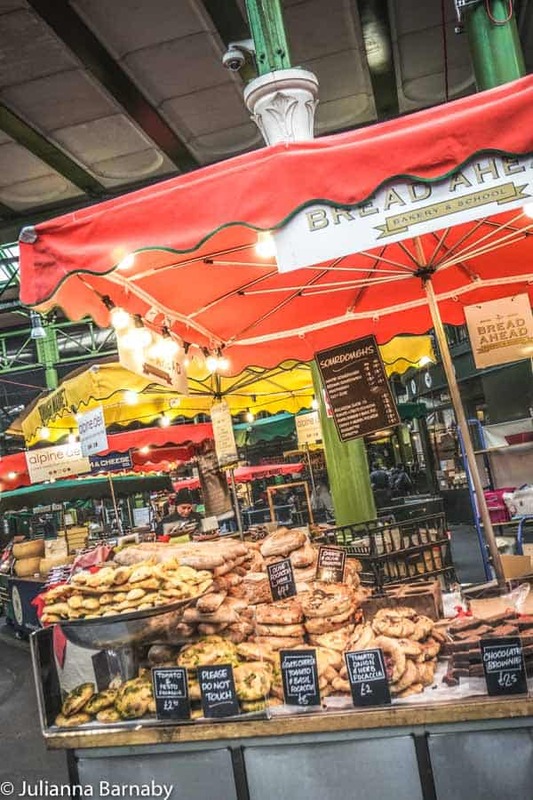 London isn’t short on a market or two – and it certainly isn’t short on food markets either. 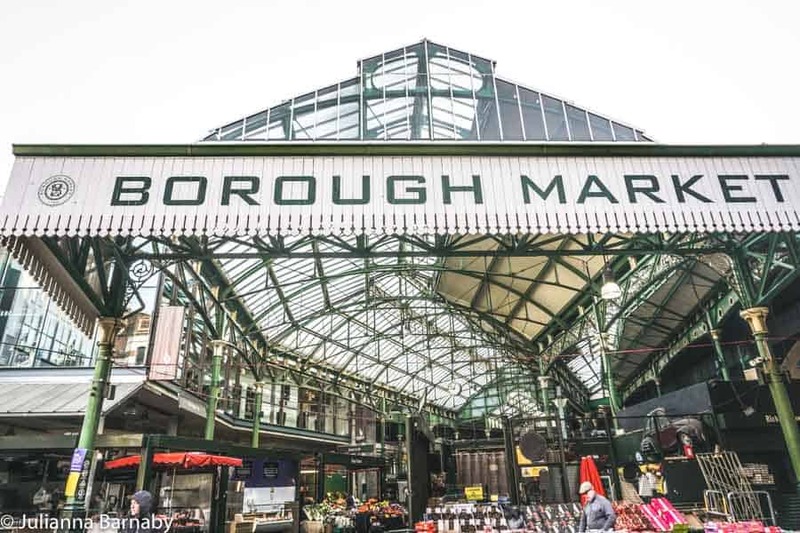 Why is Borough Market in London Bridge the one that people flock to during their London itinerary? Quite simply, there aren’t any other markets that offer the same range, diversity and quality of food in the capital. 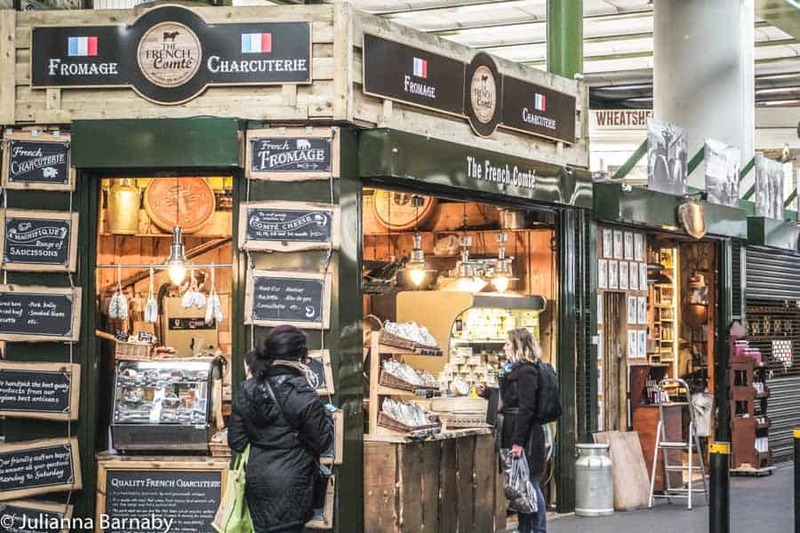 Delicatessens, grocers, butchers, fishmongers, cheesemongers – you name it, Borough Market has it. Add to that a broad collection of street food vendors selling gourmet dishes from around the globe and you start to get the idea. Don’t just take my word for it. Check out this handy guide and go and explore it yourself. 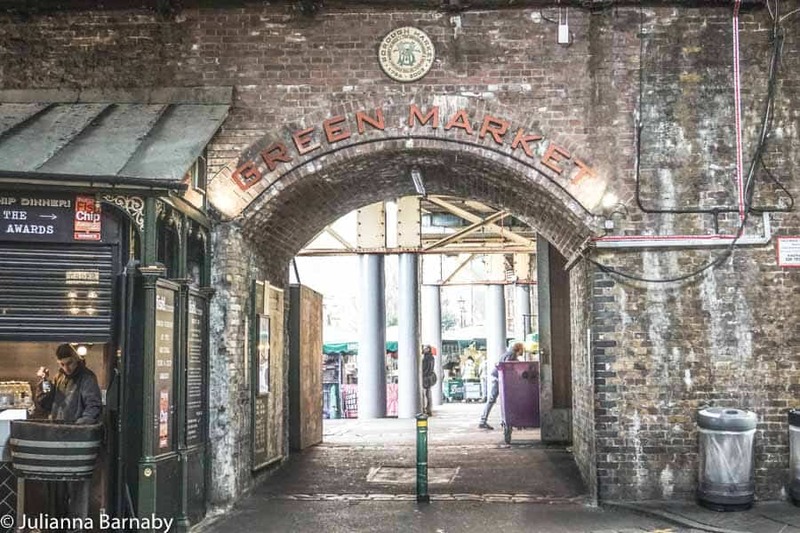 Want to dig a little deeper and find out more about the food in Borough Market? Book onto this cool London + Borough Market food tour. I said that Borough Market has some pretty incredible food stalls. You could go every day for a month and still not eat your way around the full collection. Don’t miss these Borough Market food picks. You’ve got to love a comforting cheese toastie – and it’s a whole bunch better when it’s made with mouthwateringly delicious local cheese. This is what’s on offer at Kappacasein. From their Borough Market stall, they sell cheese toasties made from their fragrant and bitey Ogleshield cheese, which is handmade in their Bermondsey dairy. If toasties aren’t your thing, then they also serve up delicious Swiss raclette – potatoes, gherkins and pickled onions generously smothered in cheese. Yum. Britain is a little obsessed with the art of baking, as anyone who’s seen the Great British Bake Off would attest. 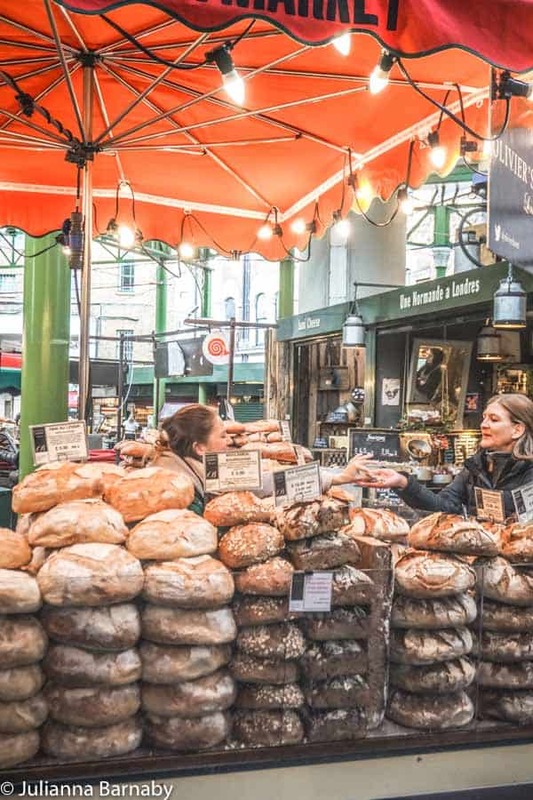 If you’d like to learn how to conjure up amazing breads, pastries and cakes, then you’ll love Bread Ahead at Borough Market. As well as selling a great selection of treats including freshly baked bread and pastries, you can also participate in a range of different classes. Whether you’re a total novice or secret pastry star, there’s bound to be something to teach you a few new tricks. The Haward family has been in the oyster business for more than 200 years, so you could say that Richard Haward knows a thing or two about shucking oysters. He’s also an expert at sourcing the freshest and most flavoursome oysters – especially from the warm waters around Salcott Creek. You can buy the oysters by the one or by the dozen to take away, or take a seat and enjoy a chilled glass of prosecco while you see what all the fuss is about. Pasta is always a crowd pleaser, especially when it’s lovingly handmade and then served up while it’s fresh and ultra-delicious. That’s what is on offer at La Tua Pasta, a popular Borough Market food stall since 2006. Their hand-crafted tortellini and ravioli have been a huge hit – with both Londoners and food critics, with the stall given dozens of awards. So, whether you’re looking to impress at a dinner party or just enjoy an indulgent meal, pick up some delicious, fresh and preservative-free pasta. Fresh pressed juices are the perfect healthy pick-me-up, delivering a tasty shot of nutrients and vitamins. 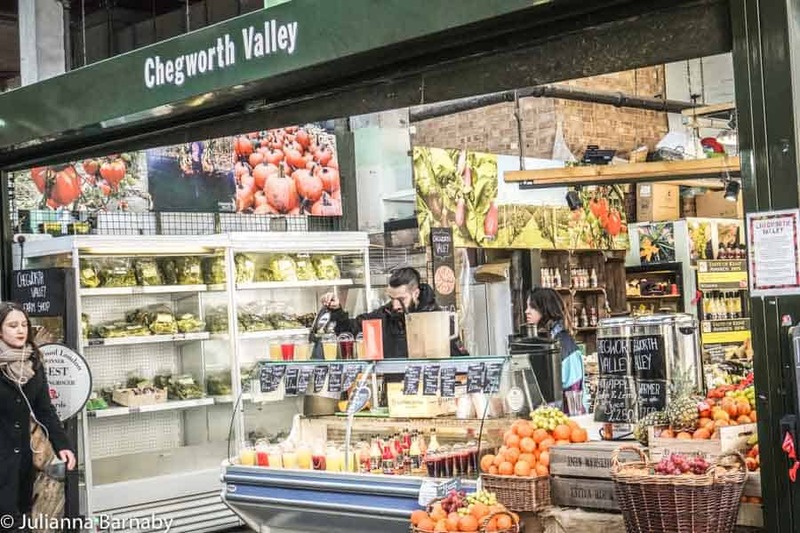 At Chegworth Valley, they sell delicious juices made from produce grown on their very own farm in Kent. This means you can be assured that the produce is fresh and healthy! The Apple & Elderflower juice is particularly delicious! There’s also a selection of fresh fruit and vegetables available as well. This market stall is an example of turning your hobby into a true moneymaker – but it’s a bit different than the usual story! Owner Darren Brown had the idea for Shellseekers when doing some hobby diving off the Devon coast. Eventually, the business grew and today he’s well-known for his ethically caught and delectable fresh seafood. Much of it is still caught by dive-loving Darren. Good-natured rivalry aside, you’ve got to admit that our neighbours across the Channel know a thing or two about producing fine food. Just one look at the delicious variety of cheeses, spreads and preserves at the French Comte is sure to get your mouth watering. Their cancoillotte is particularly indulgent – it’s a gooey cheese with tastes including garlic, walnuts and champagne. Champagne in cheese? Yes, please. Get ready to give in to your sweet tooth the moment you take in the amazing smells wafting out of Olivier’s Bakery stall at Borough Market. Selling a mouthwatering variety of cakes, pastries and sweets, Olivier’s Bakery is a real icon of the market, and definitely one of the most unmissable stalls. I particularly love the buttery and delicious croissants, while the baked bread is a more savoury treat. There are many amazing producers of fine foods, but often the difficulty is finding out about them. 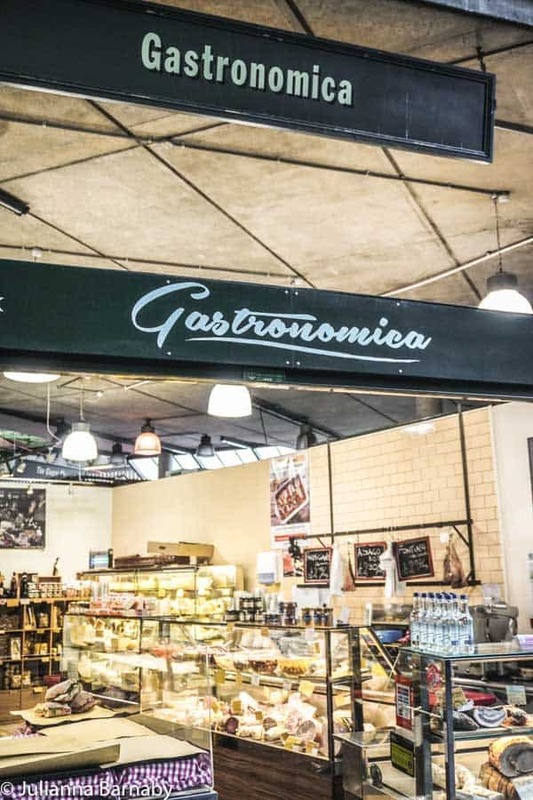 Gastronomica has been introducing artisan producers for almost 20 years, to great success. Working with producers all over Italy, owner Marco Vineis has helped introduce Londoners (and visitors) to many of the best tastes of authentic Italian recipes. There’s an ever-changing selection with favourites including many types of mustard, charcuterie meats, cheeses, jams, olive oils and balsamic vinegar. The farm-to-plate ethos has been all the rage for a while now, and London local the Ginger Pig was one of the first to pioneer the movement. With an old-school approach to butchery, the Ginger Pig sources fresh and sustainable meat from producers all over the UK, including the owner’s own farm in North Yorkshire. As well as cuts of all different types of meat, there are also a few other favourites. I particularly love the delicious sausage rolls. It’s hard to believe but it is thought that Borough Market has been operating for more than 1,000 years in London. Yep, Londoners have been buying their produce from the market for over a millennium. It hasn’t always been in its current location, however. 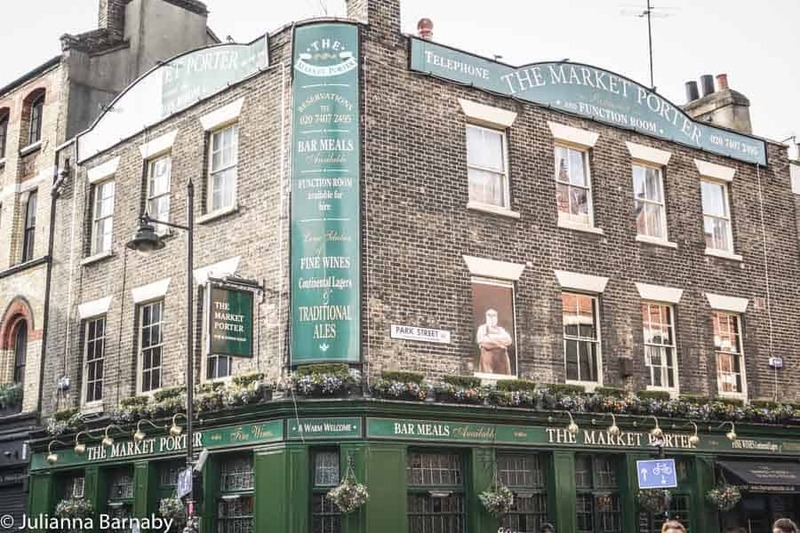 Borough Market’s history first began near London Bridge – a sensible location as it was, at the time, the only bridge across the river providing entrance into London. As a result, merchants lined the bridge selling goods to those who lived near the city, as well as those just travelling through. We don’t know exactly when the market first appeared, but we do know that it is first mentioned in a text describing political struggles in 1014. Therefore, we know it’s at least a thousand years old – but it could be even older. The popularity and size of the market grew and it started to attract the chagrin of other, more official markets. It’s believed that at this time there were actually two markets operating. They both moved several times, with the larger of the two settling near Guildable Manor, in an area known today as Southwark. The market remained so popular that many people bypassed the markets of central London to visit Southwark, frustrating London’s traders. As a result, in the 1270s, a law was passed banning Londoners from travelling to Southwark to purchase produce. This dimmed the popularity of the market but certainly didn’t extinguish it, and in the 15th century, the restriction was lifted. In 1550, King Edward VI was given control of all markets in Southwark, and the market traded quite happily for a time. During this period, a number of regulations were placed on the traders in the hope of “keeping the order”. Merchants were – in theory – required to obtain permits, and there were various hygiene and other standards to uphold. Still many “rogue traders” sold their goods without permits, and the butchers apparently caused particular problems. In the 16th and 17th century, it was not uncommon for live animals to escape and dash down the market lane. Despite the attempts to keep things orderly, the size and popularity of the market caused many problems. In particular, locals complained about the traffic jams caused by the market, with so many people making their way to buy and sell goods. In 1754 it was ordered (by an Act of Parliament) that the market be closed, however, it was swiftly re-opened 1756 in Rochester Yard on land bought by the traders. This location was brilliantly located close to the wharf, meaning that its new location was an overwhelming success. For a time, Borough Market was mainly known for selling wholesale food to various businesses around London and wider England. However, gradually that industry began to decline, and by the 1970s, the wholesale trade was almost non-existent. Slowly, the focus turned to retail business. In 1998, there was a three-day food fair that delighted foodies (before they were called foodies). 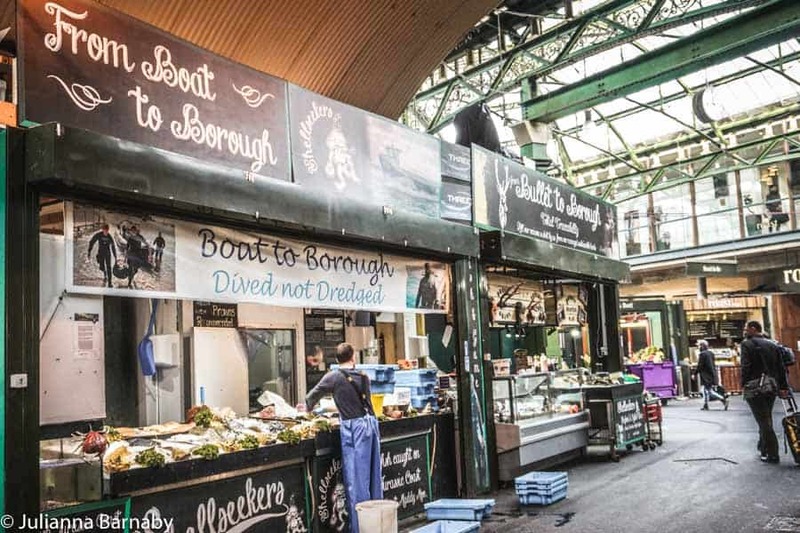 It would prove to be the beginning of a new era for Borough Market. Since that time, Borough Food Market has continued to grow in popularity. It has become a truly legendary destination for those who love good food. Every Harry Potter fan knows that the much-loved story is closely linked to London. There are Harry Potter filming locations all over London, including at Borough Market! Why not take yourself on an impromptu Borough Market Harry Potter tour, after you’ve tried some delicious food? 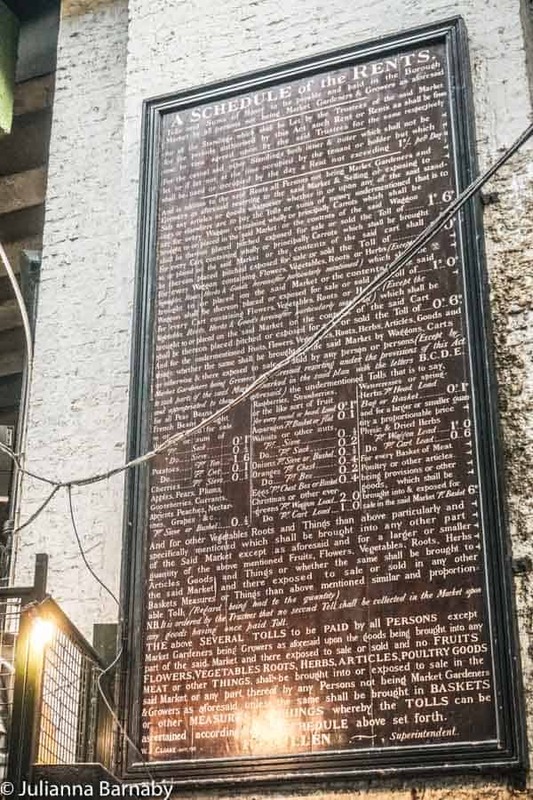 The first Harry Potter landmark to find is the Leaky Cauldron, the Wizarding World’s favourite pub. The entryway to the pub in the second film onwards was actually that of the flower shop Chez Michele. You’ll find it in the market near the overhead railway arch, at number 7 Stoney Street (postcode SE1). The second is the Third Hand Emporium, the second-hand bookstore where Harry meets Gilderoy Lockhart in Harry Potter and the Chamber of Secrets. The building is actually home to the Market Porter Pub, so you can finish off your mini-tour with a pint (no butterbeer, unfortunately). It’s at 9 Stoney Street, so very close to Chez Michele! Borough Market is located in the Southwark area, with the official entrance at 8 Southwark Street (postcode SE1 1TL). It is easily reached from all over London, being close to attractions such as the London Bridge. The closest tube stations are the London Bridge and Southwark stations. Around Christmas time, Borough Market hours do change a little. Between the first Monday in December and New Year’s Day, the market remains open 7 days per week, adding Sunday 10am – 4pm to their lineup. 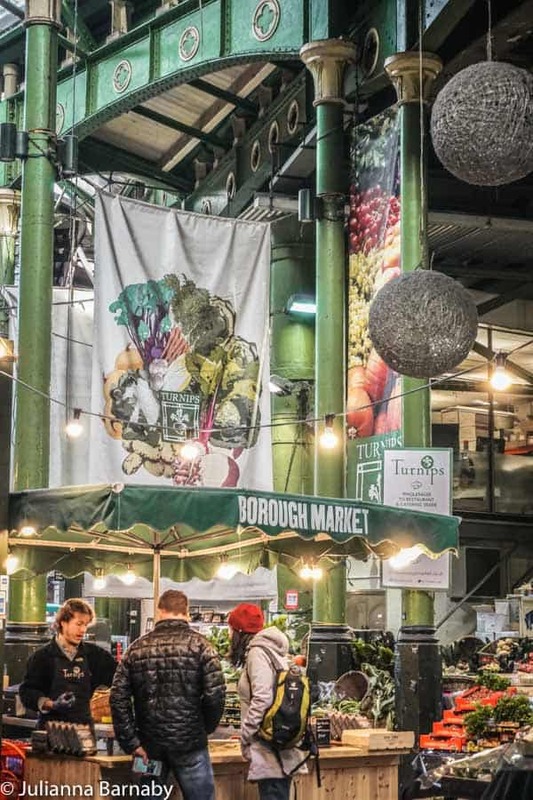 It’s easy enough to discover Borough Market on your own (particularly now that you’ve read this guide) but if you want to dig a little deeper – why not book a spot on one of the many food tours that explore the delicious foods on offer in Borough Market. 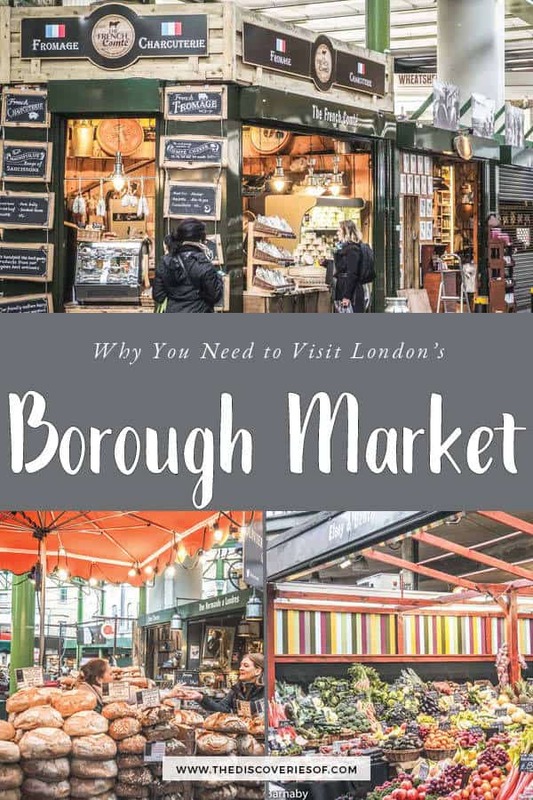 I love this three hour tour, which takes you on a tour of Borough Market and other foodie hotspots in London Bridge.